EDICIÓN ORIGINAL: Transmetropolitan núms. 55 a 60, Transmetropolitan: I Hate It Here USA, Transmetropolitan: Filth of the City USA FECHA PUBLICACIÓN: Julio de 2016 GUIÓN: Warren Ellis DIBUJO: Darick Robertson FORMATO: Rústica, 256 págs. A color. EDICIÓN ORIGINAL: Transmetropolitan núms. 13 a 18 USA FECHA PUBLICACIÓN: Agosto de 2018 GUIÓN:Warren Ellis DIBUJO: Darick Robertson FORMATO: Rústica, 144 págs. A color. 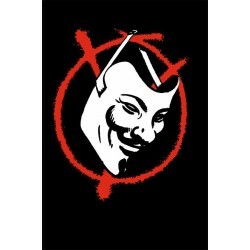 EDICIÓN ORIGINAL: V for Vendetta USA FECHA PUBLICACIÓN: Marzo de 2018 GUIÓN: Alan Moore DIBUJO: David Lloyd FORMATO: Cartoné, 288 págs. A color. 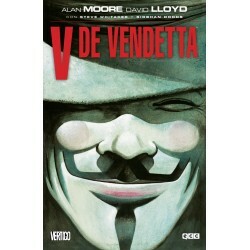 EDICIÓN ORIGINAL: Absolute V for Vendetta USA GUIÓN: Alan Moore DIBUJO: David Lloyd FORMATO: Cartoné, 400 págs. A color. EDICIÓN ORIGINAL: Watchmen núms. 1 a 12 USA FECHA PUBLICACIÓN: Julio de 2018 GUIÓN: Alan Moore DIBUJO: Dave Gibbons FORMATO: Cartoné, 416 págs. A color. EDICIÓN ORIGINAL: Watchmen núms. 1 a 12 USA FECHA PUBLICACIÓN: Marzo de 2019 GUIÓN: Alan Moore DIBUJO: Dave Gibbons FORMATO: Rústica, 416 págs. A color. Autores: Alan Moore / Dave Gibbons Edición original: Watchmen Absolute (Watchmen núms. 1 a 12 USA) Formato: Cartoné, 464 págs. A color. EDICIÓN ORIGINAL: WildStorm Spotlight núm. 1 USA, Voodoo núms. 1 a 4 USA, Voodoo: Dancing in the Dark USA, Deathblow: By Blows núms. 1 a 3 USA, WildC.A.T.S. núm. 50 USA FECHA PUBLICACIÓN: Mayo de 2018 GUIÓN: Alan Moore DIBUJO: Al Rio, Carlos D'Anda, Mike Lopez, Travis Charest FORMATO: Cartoné, 224 págs. A color. EDICIÓN ORIGINAL: Y, The Last Man núms. 11 a 23 USA FECHA PUBLICACIÓN: Diciembrede 2018 GUIÓN: Brian K. Vaughan DIBUJO: Goran Parlov, Paul Chadwick, Pia Guerra FORMATO: Cartoné, 320 págs. A color. EDICIÓN ORIGINAL: Y, The Last Man núms. 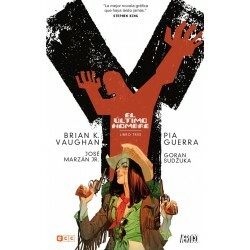 24 a 36 USA FECHA PUBLICACIÓN: Abril de 2019 GUIÓN: Brian K. Vaughan DIBUJO: Goran Sudžuka, Pia Guerra FORMATO: Cartoné, 320 págs. A color. 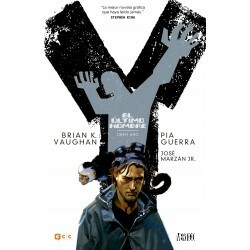 EDICIÓN ORIGINAL: Y, The Last Man núms. 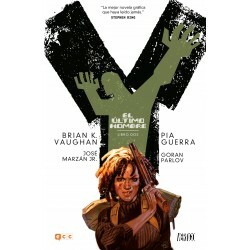 1 a 10 USA FECHA PUBLICACIÓN: Octubre de 2018 GUIÓN: Brian K. Vaughan DIBUJO: Pia Guerra FORMATO: Cartoné, 256 págs. A color.